Since moving to Florence, I have received a lot of emails asking for suggestions for day trips from those travelling without a car. I always advise using Florence as a base because the trains and buses make it very easy to visit other cities. Florence is also closely located to many beautiful towns to explore during a day trip. Of course, there are many cities that I would suggest an overnight stay, such as Rome or Venice, but you can get a glimpse of them during a day trip from Florence too. All of my top picks for practical day trips from Florence take about an hour to an hour and a half to arrive at the destination. This allows one with limited time to really get a feel for the new city without arriving tired after a long journey. I have also made all of these trips by bus or train when family and friends have visited so I know they are all quite doable. 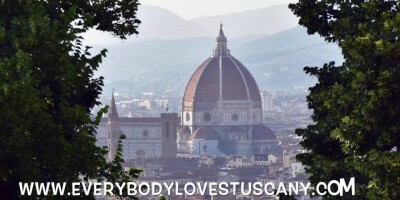 How well do you know Tuscany?